A 13-inch MacBook Pro featuring an Intel i7 chip retailing for Rs. 50,330 or a Nokia Lumia 920 for Rs. 10,000. Hard to believe? It will soon be true on Amazon as it is looking forward to initiate sales in ‘Refurbished’ territory. Refurbished gadgets are so similar to brand new ones that one cannot easily distinguish. However, once one starts using it, you could make out the difference. Like the battery of the MacBook would last for not more than 150 minutes. In the world of refurbished electronics, old is as good as new and much less expensive than the latter. Firms like Reboot in India which started in in 2012 sell such goods for the population that cannot afford technology because it is expensive. Another firm Reglobe, which is an Indian online portal started in 2009 also aces in the refurbished market. These companies are putting in truckloads of investment in refurbishing goods and then selling them to build up credibility amongst masses. Overcart announced earlier this month that OnePlus One’s refurbished units will be making their way to the marketplace very soon. Amazon is now taking off with selling refurbished Samsung and Xiaomi phones, but the striking difference here is that the brands themselves would refurbish the product. The brands thus will make sure that the functionality and durability is good enough to keep up their brand credibility. This seems to be a better way than buying phones from those, which are refurbished locally by shopkeepers who buy old phones and have them repaired all by themselves. “High-end smartphones are most sought after. Our brand strength surveys show that Samsung and Apple have the highest rankings, way ahead of any other smartphone brand,” Meike Escherich, principal research analyst at Gartner, told eWeek. We could look forward to Amazon including more brands in the list if its initial Samsung and Xiaomi refurbs would sell well. We wonder though if Apple would agree to refurbish its phones. 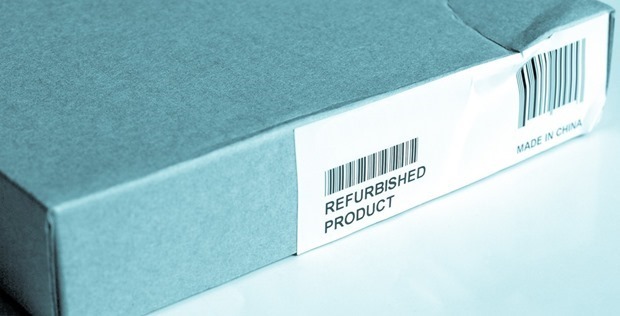 Amazon is stressing on the fact that the phones would be brand refurbished, and the refurbished products will be distinctively marked as ‘refurbished’ on the website. “Our consumer insights give us enough reason to believe that there is a market in India for quality-assured, brand-refurbished smartphones at value prices. We are starting the refurbished category as a pilot and will scale as we see more feedback from customers. We are confident that the smartphone ecosystem will gear up for more brand-refurbished products in the coming months,” says Noor Patel, Director Category Management – Media, Amazon India. Patel was of the view that the smartphone ecosystem will gear up for more brand-refurbished products in the coming months. There was always a place for something called ‘second-hand’ in the market. It has a large offline market in India, though unorganized. Same seems to be the case of refurbished products. The only difference being they’re a re-worked upon, and have not been used by someone at length. It might be easy for Amazon to sell these by showing the consumers that they are a cheaper and reliable alternative, but whether they would be able to convince users to buy, only time will tell! "Amazon India will sell ‘Brand-Refurbished’ phones from Samsung and Xiaomi", 5 out of 5 based on 1 ratings.